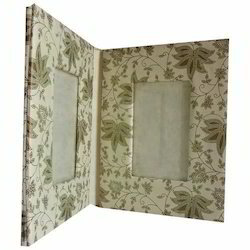 We are offering Lint Print Photo Frame to our client. - These are available in floral prints in colors of green and white. We can also do printing on photo frames, with an artwork of your choice. This printing is done with a computer for accuracy and high quality. These are export quality photo frames which are still unique in the domestic market. 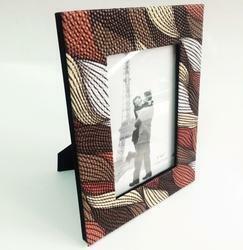 Nice Fabric printed photo frame with Ikkat design and bright color enhance the whole look of the house. Backed by a team of knowledgeable professionals, we are an identified firm in the market for providing an extensive range of Wooden Plaque Photo Frame. We are remarkable entity, engaged in offering superior quality Wooden Printed Designer Photo Frame.